Terrazzo floors have been widely used and continue to be used in construction for several years. Because of its practicality in use and the enormous period of practical use, this type of flooring were used in government offices, exhibition centers, shops and other buildings where there is a constant high traffic and the floor must withstand high loads. 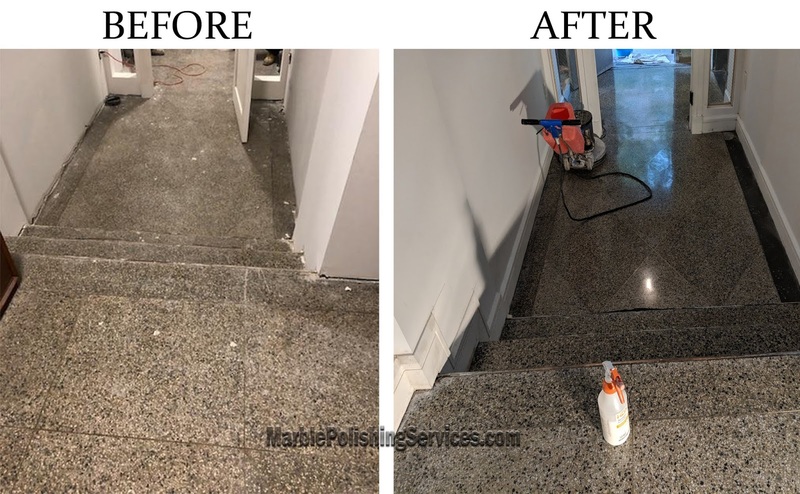 Terrazzo like any other flooring, terrazzo floors changed appearance, faded, over the years, cracks and chips appear, and metal seams could be damaged and loosened. Our company offers you a range of services for grinding and polishing terrazzo floors. Thanks to the latest technologies and high-quality equipment, we renew the floor to its original look. The first stage is usually to repair of the floor, namely the repair of cracks, chips, replacement of joints, leveling and cleaning polishing of the floor. 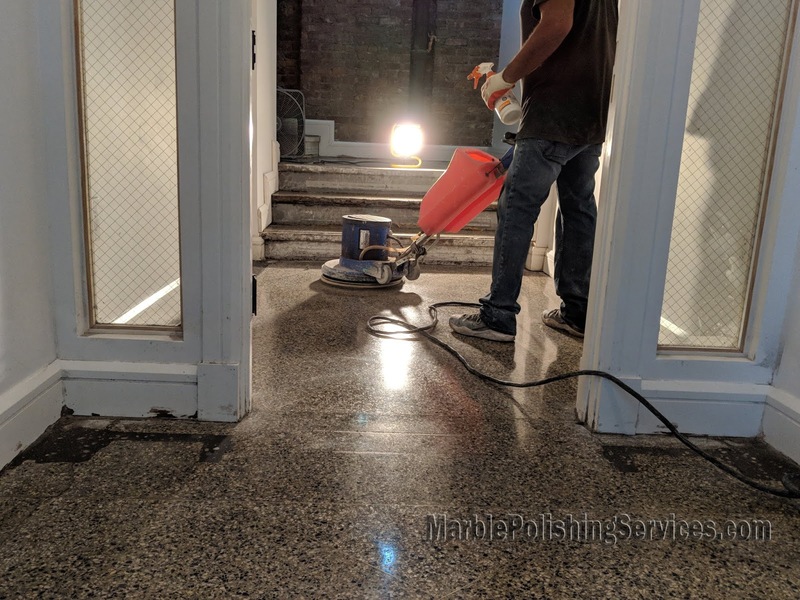 The second stage is polishing the floor with abrasive disks of different roughness, thanks to this kind of grinding; the flooring will become smooth. After grinding, all the defects that were present on the flooring will disappear. The third stage is the polishing of the terrazzo floor, a special machine with diamond discs. This process uses less abrasive disk. 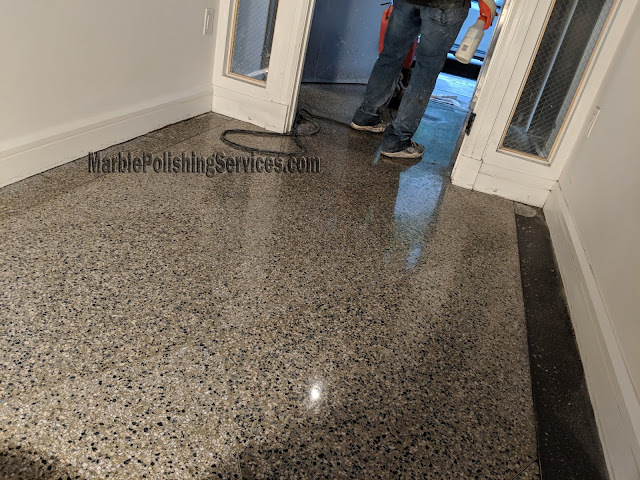 The fourth stage is crystallization of the terrazzo floor, for this purpose our specialists use special professional liquids, due to which the floor surface ceases to be porous, which increases the service life of the flooring 10 times, and prevents penetration into seams of any kind of moisture and other liquid substances. 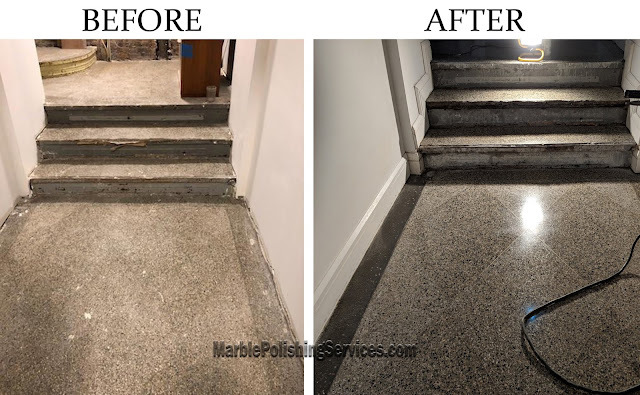 We service New York, New Jersey, Connecticut, Philadelphia, Brooklyn, Queens, Bronx, and Long Island. Our specialists will gladly answer all your questions and give professional advice in the restoration, grinding of terrazzo floors.